I was recently the lead researcher for a study in collaboration with Radi-Aid about the use of imagery in charity / NGO communications. In the study, participants in six Sub-Saharan African countries spoke about their perceptions of aid campaigns and other visual communications from international NGOs (INGOs) and development organisations. The research involved 74 people from 12 focus groups in aid-receiving communities in Ethiopia, Ghana, Malawi, South Africa, Uganda and Zambia. They discussed imagery from campaigns by Amnesty International, Care International, Cordaid, The Disasters Emergency Committee, Dubai Cares, Oxfam, Save the Children, Unicef and War Child. • The majority of respondents thought the images in adverts offer an accurate representation of the situation in Africa. • There is a need for aid communication to show more diversity in terms of age and race. • Respondents acknowledge that aid communication is complex, with no single solution. • It is important that respect and dignity is preserved in the portrayal of people in aid communication. The frequent portrayal of Africa as a continent in need prompted sadness among the respondents in the study. Such campaigns often depict black children in need, and several of the respondents wished that these stories could be complemented by showing children of other colours or backgrounds, or black doctors, professors or aid workers. They would like to see portrayals of people with agency in their own situations and results of their accomplishments. 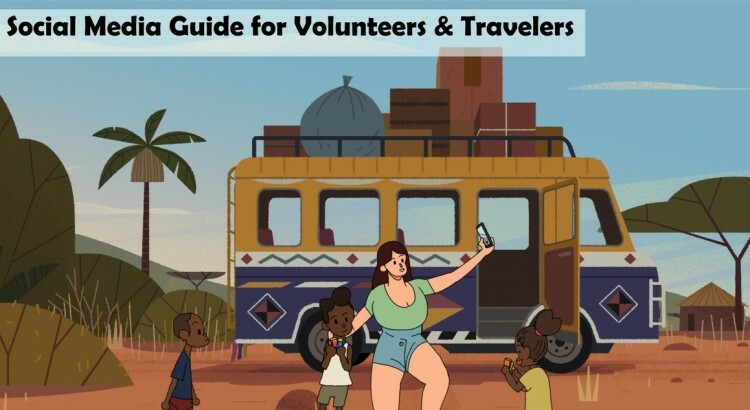 I was extremely pleased to be part of this research as it gives people in aid receiving countries the opportunity to voice their opinions on the type of imagery used to depict their continent. Instead of stigmatising poverty and focusing on problems, I hope that aid organisations will respond by showing the positive outcomes of development programmes too. One of the things I often discuss with students, academics and communications professionals is that development organisations produce a massive amount of communications materials, and the vast majority of them are neglected in critiques by the media and academia. Social media offers organisations the opportunity to tell more nuanced and contextualised stories which are not restricted by an expensive 15-30 TV adverting slot or a billboard with limited space. I hope this report will encourage NGOs and charities to continually improve their representations of poverty and inequality by showing a broader range of stories. Participatory photography and video are excellent tools to enable recipients of aid to tell their own stories and I see these tools being used more and more in the future. Here is a link to the full Radi-Aid Research report. 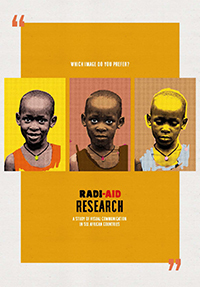 Radi-Aid Research is a collaboration project between the Norwegian Students’ and Academics’ International Assistance Fund (SAIH) and the School of International Development at the University of East Anglia. Back when I started this project (6th July 2014) there were probably very few working photographers from India on it and the pictures on the medium were mostly the typical oversaturated fluff of sunsets, mountains, beaches etc but there were a few western photojournalists on the medium sharing some interesting work and while I was on it with moderate success perhaps because photojournalism based content is not as popular in India as something that provides a much more departure from daily dreary lives such as a beautiful sunset or your favourite celebrity having fun is (I guess). I loved what @everydayafrica was doing and thought of having something on similar lines but since there weren’t really a lot of photographers around that I knew personally I decided on a curated platform rather than a collaboration. There was also a thought in the back of my mind of seeing the city through local eyes, which included a lot of non professional photographers who also contribute to the project. How do you select which images to curate? Are there certain issues that you deliberately focus on e.g. 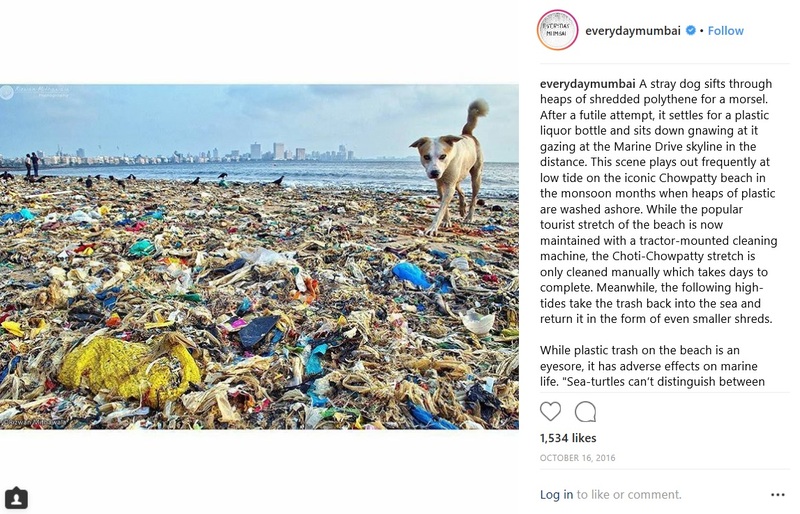 I noticed that there are many images documenting the LGBT community in Mumbai and also on pollution. What is the motivation for highlighting certain issues? I generally look at photographs which have something to say beyond the visual. I often feel many times images of such issues are sidelined in mainstream media in India which is more focused around political news, celebrities and sports coverage. Even Instagram is primarily dominated by Bollywood & vanity. I hope to make space for highlighting various issues and making a strong case for photographers who document such issues. 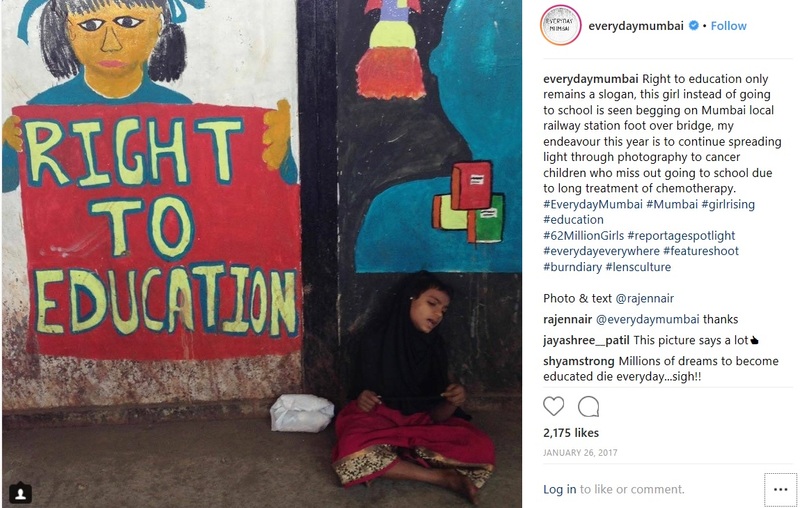 Do you think that @everydaymumbai can be used as a tool for development? If so, how? Have you ever been contacted by local government or NGOs about your work? I have never been contacted by government. A couple of times NGO’s have reached out to share something. Though I have often proactively shared something I think would help share a good message or help someone out. You mostly provide quite detailed supporting text – how long does this take? You receive lots of comments on the images that you curate. How long does it take for you to maintain the Instagram account? Do you know if any of the photographers that work you curate have received photography commissions as a result? This is a difficult one for me to quantify, but I do share the work of lot of young photographers with the hope that journalists, editors, curators who follow the project will commision them work or perhaps write articles about them particularly when they have some projects, exhibits, books & so on. I’m currently working on creating an offline exhibit in public spaces so that a wider audience can reached, particularly those who may not be on social media or even the internet. I’m also looking to reach out to mariganlized communities to help train them to document themselves and create social media based projects like these for their communities so more people can know about them. Thank you Chirag for such an interesting and inspirational interview. I can’t wait to see some of the projects working with marginalised communities. I stumbled across the following tweet from UNDP Kenya back in March which alerted me to their fantastic new photography initiative. Intrigued as to why they had commissioned three photographers to document their work I contacted Ngele Ali, their Head of Communications. Why did you decide to document development in Kenya using photography? What informed the decision to commission this work was that, while we were telling our story and reporting about the impact of our work, the country office lacked compelling images of Kenya and Kenyans that could enrich our narrative. Our main aim was to document the breadth of development with authentic imagery that form part of our photography library. 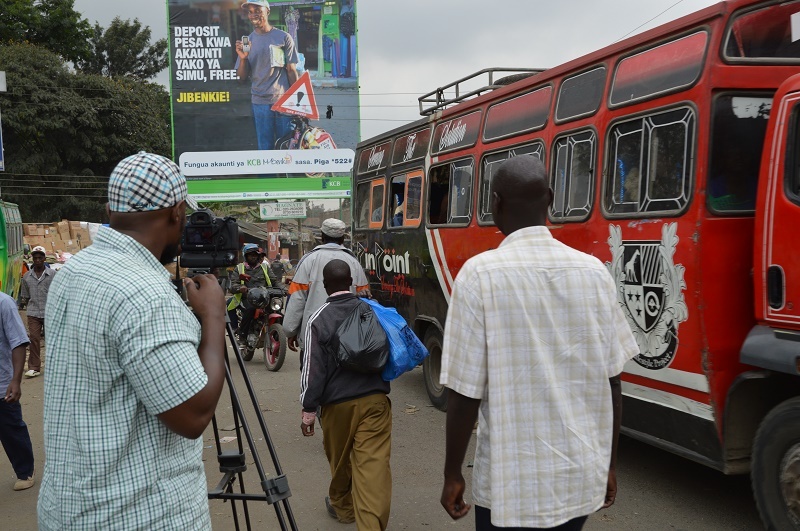 We deliberately went out to photograph and get stories informed by the SDGs, while exploring thematic areas aligned to UNDP work in Kenya such as: inclusivity, gender equality and youth empowerment, climate change, devolved governance, technology for development among others. We therefore went out in search of empowering stories and images of ordinary Kenyans at grassroots level who were doing remarkable work of transforming their lives and lifting themselves out of poverty; with the hope of giving the term development a face and to demystify the concept of leaving no one behind. We leveraged photography as a tool for storytelling, to capture everyday lives of people, their personal perspective and achievements, that sometimes words don’t do justice. With images gathered from this mission we hope to build a library that is rich with a wide spectrum of powerful images encompassing of genuine human interest stories that may inform how we perceive and communicate on development matters and help shape our future interventions and interactions with Kenyan communities. How long did the project take and how did you choose the locations? This was a month-long mission where three Kenyan professional photographers were commission to work with the country team comprising of staff drawn from programme and communications departments. To capitalize on the time available, and to ensure we had images back in good time for various activities that were in the pipeline, the teams went out to the field simultaneously covering all the counties including those where UNDP has project on the ground. The idea of this project was to inclusively cover Kenya as wide as possible beyond our project areas as a forward-looking opportunity to scope for possible areas of future engagement and to ensure that we have a good collection of images that represent the face of Kenya in consideration to the fact that UNDP works with state and non-state institutions at national and sub-national levels. Tell us why you chose the three photographers you commissioned? The three were shortlisted from a competitive process that had invited photographers working in Kenya to submit their portfolios and proposed costs to undertake the assignment. The three were shortlisted from a pool of photographers following a rigorous review of portfolios based on experience of working on similar projects; demonstrated understanding of what was required of the assignment and knowledge of the terrain; and samples of work submitted. How many photographs were taken? Approximately 2000 final photos were submitted. What is your favourite photograph and why? Each photo has a unique story behind it but I particularly love photos from the marginalised communities as they are not the usual photos of abject poverty. The images that we got back paint a picture of hope, abundance and highlighting communities and people making a difference in a dignified and positive way. They are images that authentically celebrates Kenyan communities and their way of being. What kind of supporting information did you capture for case study and caption material? Did this take a long time? Information gathered was contextualised based on personal accounts and covered issues of livelihoods, family, future ambition, employment, state of being among others, which helped to frame each photograph in a unique way. This process was rigorous as it also included getting consent of the people we were photographing; The conversations were either written or recorded and later transcribed. Upon return to work it took at least another roughly four weeks for colleagues to complete captioning after the photographers made their final submissions. UNDP teams also submitted detailed back to work reports which is a standard requirement. How will you be sharing the photographs with the people in the pictures? We had release forms where we recorded details of the people being photographed. For those who expressed that they would like us to share with them the photos we will make necessary arrangements to do so – either directly or through our partner organisations working in those locations. Majority of those photographed were happy and satisfied to view their photos on screen after the sessions before we departed from location. How do you plan to use the photographs? The photos taken form part of the UNDP country office library; we intend to use these photos to support our conversations with regards to the development agenda in Kenya. This will be in our programmatic reports, annual report, factsheets, website, among others. None of the photos will be used for commercial purposes. The photos are also available for other UNDP/UN offices, development partners and donors upon request as long as they are credited accordingly. Will you be using social media to share these images? If so, on what platforms? What kind of problems did you encounter on the project? Getting instant buy in to participate. Our teams spent a lot of time explaining what we were doing in some cases the people we encountered were not as friendly while others demanded payment for their participation. It took a while for members of the public to warm up to us and we only worked with people who were willing to participate freely. Working with local contacts helped in breaking the ice and gaining trust. 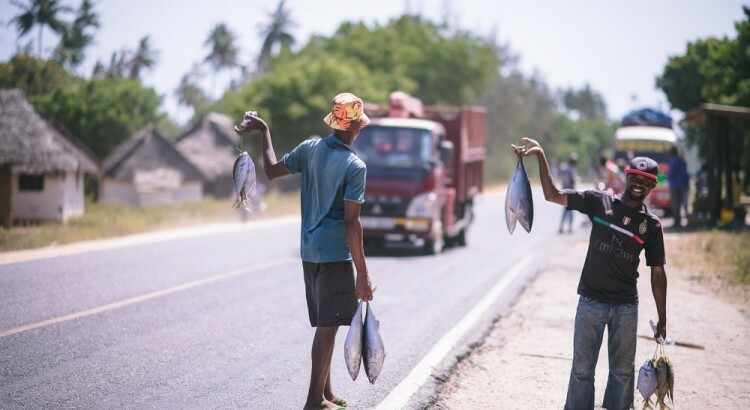 Language barrier – while Kiswahili is widely spoken across Kenya, in some remote areas, language was a hindrance and we heavily relied on local translators. The distances between locations could be gruesome and exhausting especially in remote areas where the road network is not so good. Are there any recommendations for other development organisations who might want to do something similar? Logistics and planning is critical prior to the start of the project to ensure that your teams are well prepared and any concerns and questions are covered before departure to the field as helps in ensuring that all are working from the same perspective for desired results. We planned for this mission for at least 3 weeks before teams left the Nairobi office. Always seek consent of the people you want to involve in your project. Taking a few minutes to explain the purpose of your mission and how you intend to use their images helps with members of the public feeling valued and the result is more enriching. Work with professional photographers – professional photographers are a major asset for this type of assignment engage and work with them as part of your team. Let them understand your approach prior to the start of the project as this ensures that they understand what is expected of them and can deliver better results. Give people an opportunity to tell and share their stories without influencing their thoughts. People feel appreciated and respected when allowed to tell their stories without the pressure to skew the narrative to suit your perspective. Always take time to clarify any information provided and ensure it is as factual as possible. Request to use a voice recorder which you can play back when transcribing for clarity and ask the local fixer/contact for further clarification when in doubt. I have been a big fan of Everyday Africa for 2-3 years now, so I was delighted when Peter DiCampo, one of the founders, kindly agreed to an interview. Published on Instagram, Everyday Africa is a collection of mobile phone photography which combats the clichés that depict Africa as a place of only poverty, disease, and war. The photographers who are native to Africa or have lived there for years at a time, find the extreme not nearly as prevalent as the familiar, the everyday. Here are Peter’s answers to my questions. I began my career as a photojournalist just before moving to northern Ghana as a Peace Corps Volunteer in 2006 – so, from the beginning, I questioned the narrative that I was helping to propagate by focusing mostly on stories of disease, poverty, and conflict in West Africa. My two years living in a village showed me that there was much more to rural Ghanaian life, and this extends of course to rural and urban life across the continent and beyond. But, there are few places to share these stories. Everyday Africa began in Ivory Coast in March 2012. Austin Merrill and I were traveling as a writer / photographer team covering the continued strife a year after the country’s post-election violence and the cocoa trade that is the root of turmoil there. Austin is intimately familiar with the country, having lived there at a couple different points in his life (he was a Peace Corps Volunteer there in the mid nineties and then a journalist living there at various points), and I had been there before as a photojournalist, and of course had lived several years “next-door” in Ghana. During the March 2012 trip we began shooting photos on our phones, very casually, and it occurred to us that those images felt much more familiar to us than the ones I was “professionally” shooting for the story we were there to tell. Having outlined that story above – as you can imagine, it was a bit preconceived. I think often about the process of photojournalism – going into a story, you often feel you “know” the images needed to tell it. If it’s a story with phrases like “continued ethnic violence,” you feel you need photos of refugees, burned down homes, survivors with horrific stories to tell, etc. These are the images that will make sense to the reader; that he or she will find palatable. But there’s an inherent contradiction here: if we’re giving the reader images he or she already expects, then the story reinforces preconceptions and doesn’t teach anything new. Along the way, we also see a lot of daily life moments, but we often pre-edit these out of our story by not even photographing them. Austin and I decided to photograph them. A couple months later, we were both on the continent again, at the same time but in different locations – he in Nigeria and Zimbabwe, me in Uganda. We kept shooting on our phones, and this time around started a Tumblr blog so we could share the images with each other and a wider audience in real time, or close to it. In the months that followed, we found that a lot of our colleagues shared our frustrations with coverage of the continent and were excited to have an outlet for the day-to-day images. We migrated to Instagram (but kept the Tumblr too) to extend our reach, and things grew rather quickly. How did you publicise the blog and Instagram sites? How did you get photographers to contribute? We could never have imagined how big this would become. The first way of publicizing it was simply on our own – we started the Tumblr, we posted about it on our Facebook page. Other photographers we knew were drawn to it – at first, other foreign correspondents living on the continent who shared our frustrations, and then eventually more African photographers. (The bulk of the feed is now African photography). Then it snowballed. The New York Times Lens blog wrote about us, and a few other mainstream publications. Instagram put it on their “suggested user” list, and that made our following grow exponentially. Is it mainly Western or African photographers who contribute their imagery? What motivates photographers to to be part of Everyday Africa? In total, it is an even split. However, it was a lot more Western photographers early on, and is now majority African. In the forthcoming book, the number of photographers is half and half, but the number of photographs are majority made by Africans. As far as motivations, I think they feel it builds on their profile and career (some have certainly received assignments via Everyday Africa, for example), but the main reason, I think, is more ideologic: they believe in the mission of showing a different side of the continent, regardless of their background. They enjoy seeing their photos used in the educational initiatives we have, and simply having a platform and an audience for this kind of imagery. Do you have any examples of African photographers contributing to Everyday Africa that have received jobs/commissions as a result of the publicity? Just a few days ago, a photo editor from Buzzfeed reached out to me to ask for Edward Echwalu’s info. I’m not sure if the assignment panned out yet, but we get that kind of thing often. Nana Kofi Acquah, Andrew Esiebo, Tom Saater - these guys have all received assignments as a result of their increased social media presence, and I think it’s safe to say that Everyday Africa is a part of that. How do you curate Everyday Africa? Do you ever censor images? Actually, we really only curate the photographers, which I will get into. But as far as the images, we give our contributors the login information and set them loose. We don’t select the images. We instruct the photographers to interpret those words, Everyday Africa, however they see fit, and the only real rule is that they don’t post on top of each other. We have never deleted or edited an image. There have been a handful of times (maybe two?) that we have asked a photographer to edit their caption, always for the sake of clarity and not for the sake of content. As far as selecting photographers, at first it was very organic. People would ask us, and if they seemed to have an intimate relationship with the continent (or a specific country), were thinking along the same lines as us in terms of broadening perceptions, and were skilled photographers, we generally said yes. Lately, it has been more organized, as we are drawing a few new contributors a year from the African Photojournalism Database, and looking more specifically on diversity as we try to find photographers in countries where we don’t currently have anyone based. How powerful is photography in changing people’s perceptions about Africa? I think it’s very powerful. We build these perceptions based on what we see – to put it simply, people do not realize that normal, daily-life moments occur because they do not usually see them. In paying attention to the commentary our photos elicit on Instagram, we’ve seen this happen in the most basic way, often with presumably young people: “I didn’t know they had cars”, “I didn’t know they had phones”, that kind of thing is very common in our feed. I think Everyday Africa has much deeper implications than that, broadening in many ways our understanding of the continent even for people who are more tuned in – but providing that very basic burst of those misconceptions for people at a young age is, I believe, very important. There have been several campaigns to change narratives about Africa such as #TheAfricaTheMediaNeverShowsYou, #IfAfricaWasABar etc. How important is social media as a counter to stereotypical images of Africa? Social media is hugely important. I believe very strongly in showing things from multiple perspectives. Traditional media has a role, but as it presents a specific story-based narrative (conflict in Ivory Coast, for example), it doesn’t often have space for these other views. What are you 5 favourite photographs on Everyday Africa and why? When I think about my favorite photos from the project, they tend to fall into two categories. The first is, simply, the daily life moments that often go undocumented. Nana Kofi Acquah’s photo of women greeting each other with a handshake by the roadside in Burkina Faso. Glenna Gordon’s photo of a couple celebrating their one-year wedding anniversary in Lagos, Nigeria. Edward Echwalu’s photo of a midwife gently touching an expectant mother’s shoulder as she speaks to her in a health center in Uganda. The other category is, loosely, the type of photograph that speaks metaphorically to our project, the push and pull of the Africa we imagine versus the one that is more real, the old clashing with the new. Tom Saater’s photo of a woman named Ginika wearing a white wig as she heads to graduate from law school in Abuja, Nigeria. Austin’s photo of a safari in Zimbabwe, in which we see smartphones and tablets but only the smallest glimpse of an animal. Tourists photograph while on safari in Matobo Hills, Zimbabwe on May 24, 2012. Photo by Austin. Of course, the list goes on and on! I understand you are involved with educational work. Can you tell me more about it? Why have you decided to publish a book now? What are the main objectives of publishing a book? The answer to “why now” is because we wanted to do it while there is still a buzz surrounding the project – we hope there will be for a long time, but we can’t know for sure! Instagram is changing, new platforms coming up – it seemed a good idea to encapsulate this work now. The book comments on a very specific form of communication that is ever evolving, and it seemed best to set it in print before it is unrecognizable. The book, for me, is a very exciting object. It includes the strongest photography, as well as Instagram commentary. Creating it presented us with the unique challenge of translating a social media project to the printed page – including the commentary makes the book into a document not only of the Everyday Africa project, but also of the many perceptions that we cast onto a continent and of how we communicate today. The comments range from paternalistic and racist to funny to the very familiar, people commenting that the photo is from their hometown, for example. It is a marker of increased connectivity, the need for us to dispel antiquated notions of Africa, and the need for more localized storytelling. Some of the conversations go on for quite a long time, and become fascinating discussions on how we read imagery. For example, an image of women carrying things on their heads (of course a common sight across the continent) prompts a heated debate on our understanding of poverty: some commenters, many of them African, argue that the photo shows heavy labor and serves only to perpetuate a poor view of the continent, while others argue that ignoring this sight would be an even greater disservice, as we would then be asserting that only “Western” can be synonymous with “normal”. The conversation raises many questions on empathy and visual literacy, to say the least. We’ll use the book in our educational programming as well. 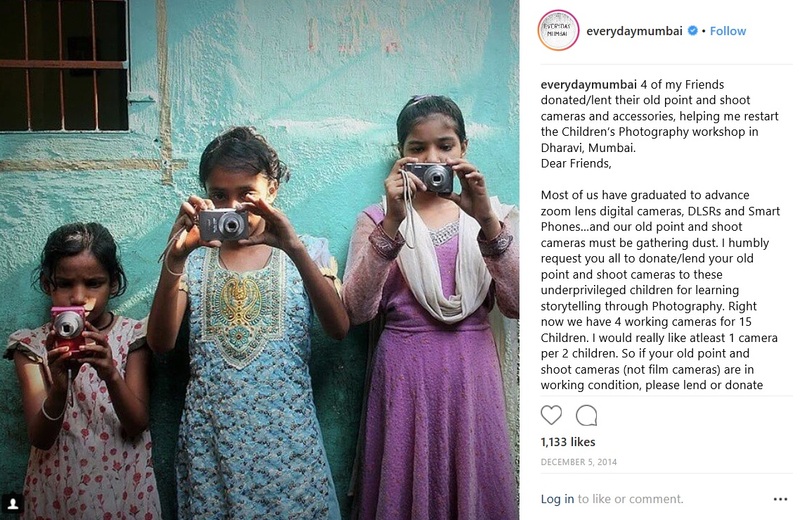 We’ve worked with a number of partners and supporters – Pulitzer Center, Open Society Foundations, PhotoWings – to create a curriculum on media creation, stereotypes, and photography. 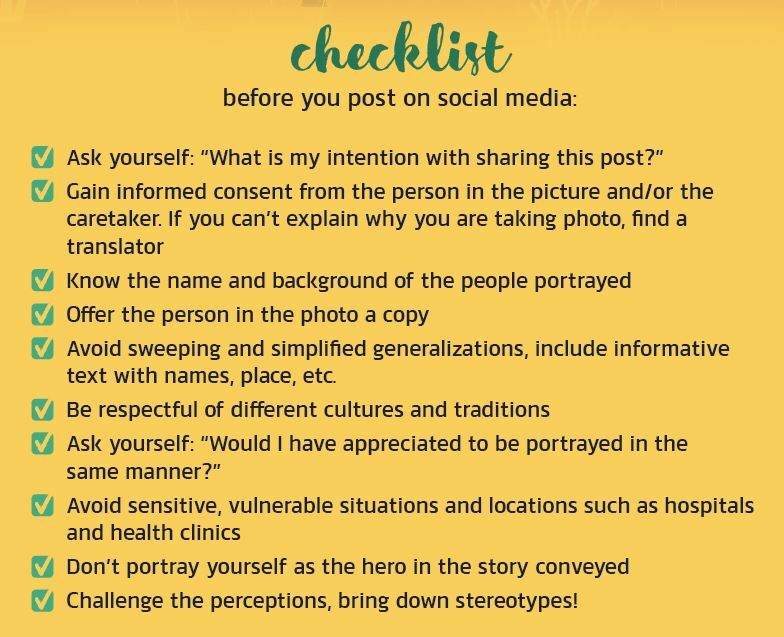 Studying the conversations from the Instagram feed adds another layer – it’s a direct lesson in cross-cultural communication, comparing how people see themselves to outside perceptions. Are there any plans for an exhibitions, and if so where? We’ve had a number of exhibitions in the past, see our full list of Everyday Africa exhibitions here At the moment, we have work showing in BredaPhoto and FotoIstanbul. The book launches with an exhibition at AddisFoto in December. In 2017, we’re hoping to have a number of exhibitions that coincide with book launches. What advice would you give to other people wanting to use photography for social change? Experiment, experiment, experiment. There is no recipe for this stuff. We, for example, never could have known the impact we would have. Look at what is out there already (in terms of subject matter, but also in terms of how it is displayed) and see what you think works for your project, your issue, your passion, the change you want to make, and the audience you want to reach, and then try it, and then try something else too. We’re on social media, but we’re also in classrooms, in galleries, in publications, making a book, and even experimenting with theater. Some of those will reach a broad number of people but only on the surface level; others will have a deeper impact but only reach a few people. It’s very difficult to know what method will reach which group of people, and how. For more specific campaigns, try targeting specific change-makers (government officials, etc). For stories that aren’t receiving enough attention, try very public displays, in the vein of what #Dysturb is doing. Be targeted but be creative. Featuring some of the best images project, the book Everyday Africa: 30 Photographers Re-Picturing a Continent, showcases photos of ordinary life that find beauty in stories rarely seen, shifting perception from the ensationalized extremes to a more textured, familiar reality. Photographs run alongside sections of Instagram commentary inspired by the images. Shocking, funny, and heart-felt, the comments are lighthearted one moment, caustic the next, speaking volumes about widely held perceptions of Africa while underscoring the continent’s increased connectivity in a globalized world. Together they justify the project’s very existence. To be one of the first owners of the book please support the Everyday Africa Kickstarter campaign. A huge thank you to Peter for this detailed and fascinating Q&A. I hope you learn as much from this post as I did. I spent 3 thoroughly enjoyable hours on Sunday familiarising myself again with the Everyday Africa Instagram images. To finish, here’s a couple of my personal favourites from the project. I can’t wait for the book…. Young men play table tennis in rural Ethiopia. Photo and Words by Nana Kofi Acquah (www.nkaphoto.com) @africashowboy (Copyright: 2016).